If you follow me on Twitter, you'll know I've been on the hunt for a sassy new phone case and just wasn't finding anything I wanted. There wasn't anything I liked on the highstreet and I'd exhausted every possible variation of 'cute iPhone cases' on eBay, I was on the verge of giving up, until I discovered a sassy Clueless case from RedBubble. I spent this morning searching the website and now I'm spoilt for choice! I honestly can't decide on a favourite, so help me out in the comments below! love the 'no' and the burn book one! this is such a good collection! argh love these! they are all so amazing! 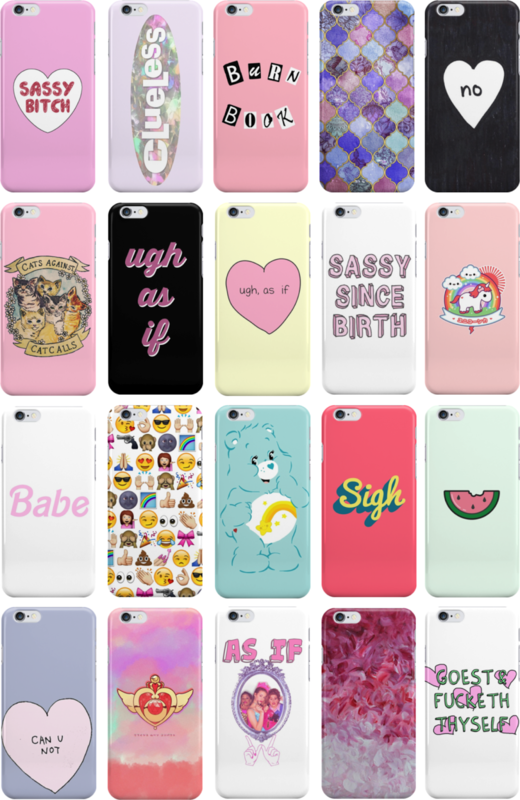 sassy since birth is my type of phone cover! !